1. Log-in to your Chromebook. 2. 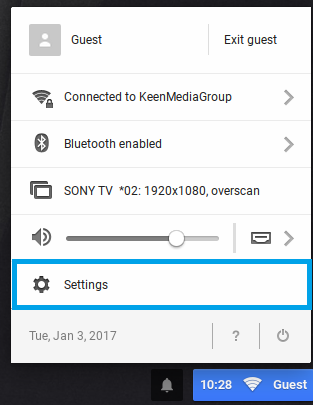 Click the status bar, this can be found at the bottom right of your desktop screen and choose “Settings”. 3. 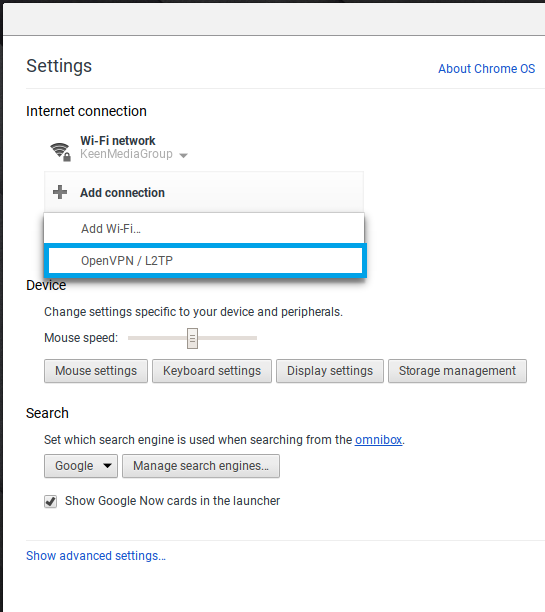 Under the “Internet Connection” section, click on “Add Connection” and then choose “OpenVPN/L2TP”. • “Server Hostname” – Enter the L2TP Server IP. You can find a list of L2TP/IPSec-supported VPN servers on the Downloads section. 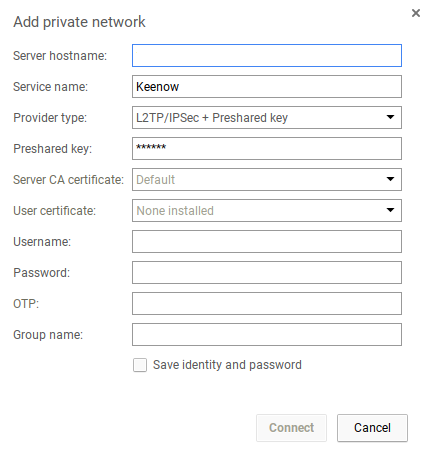 • “Provider type” – Choose "L2TP/IPSec + Preshared key". • “Username” – type your VPN username. • “Password” – Type your VPN password. 6. That’s it! You’re now set, To verify that you are connected to a VPN server, please go to whatismyipaddress.com and check whether your IP address and location have changed.